What's the idea height for a girl? [Black Pill] What's the idea height for a girl? We know the ideal height of a guy is 6ft2 - 6ft3 (some may say higher) but what about women? 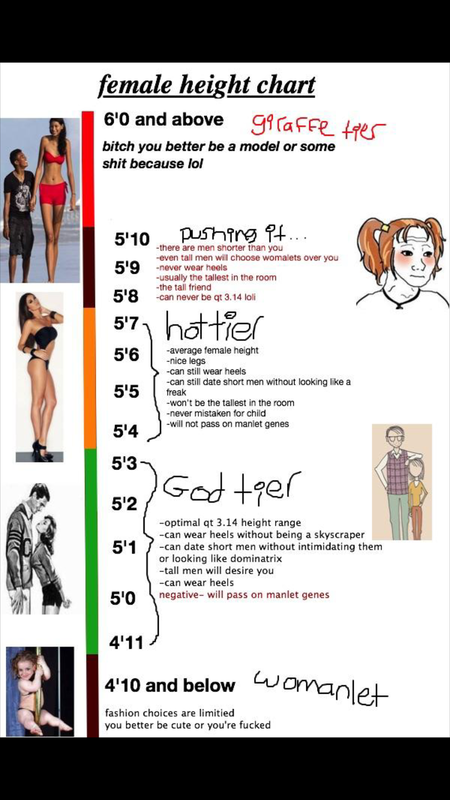 Idek if such a thing exists considering I never pay attention to a girls height, they're all short to me. I unironically agree with the chart. (02-14-2019, 01:37 AM)łłł Wrote: I unironically agree with the chart.